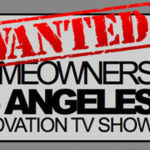 Get a Free Home Makeover on New TV Show Looking for TWO Homeowners Who Live Together! Showrunner Summit – Meet & Learn from Showrunners from The Flash, Law and Order, Limitless, Elementary, Scream – The Series, Outlander, Battlestar Galactica, Bull, and More! Hiring CEO & CFO for Publicly Traded Film/TV Company Focusing on Film Investment and Content Creation for Hollywood and Asia. Real Ancestry.com Users Wanted – Casting TV Commercial! How to Get Production Company Deals and Get Your TV Show/Film Concepts Optioned and Sold – without an Agent! Professionals Changing Careers Wanted – New Docu-Series for Major Television Network Wants to Tell Your Story! Friends with a Marriage Pact / Close Friends Who Think There Might Be Something More – New Television Docu-Series Will Help You Find Out If You’re Meant to Be Together! 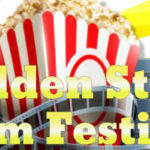 Golden State Film Festival – Festival Kickoff This Sunday! Films from Martin Lawrence, and Great Indie Shorts & Features, Plus Panels and More! 50% OFF on Ivy Entertainment Summit & Awards – Panels and Mentoring with Netflix Execs, Sharon Waxman from The Wrap, and Top Entertainment Attorneys and Producers for Disney, HBO, Sony, Nickelodeon, and More! Real People Who Work with Immigrant Issues or Provide Aid to Immigrants Wanted – Casting Commercial!